NOTE: If you’re participating in the Virgin Pulse Global Challenge, please download the Virgin Pulse Global Challenge app instead. 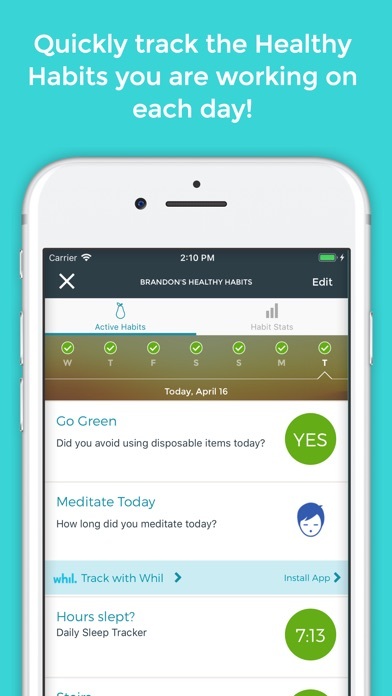 The free Virgin Pulse app lets you access your company’s wellbeing program. Get all the core features at your fingertips for on-the-go healthy living: •	Track your steps, active minutes, calories burned, and sleep •	Track your program rewards and progress to the next milestone •	Sync your Max Buzz™ activity tracker to rack up points (must have Bluetooth 4.0 on your phone) •	Connect tons of other devices & apps for automatic tracking •	Easily sync your iPhone or Apple Watch steps •	Share your Virgin Pulse stats with Apple’s Health app •	And so much more! Let the journey to a healthier, happier you begin. It’s going to be epic. 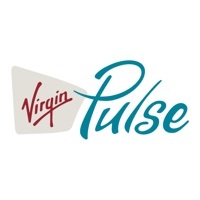 Virgin Pulse supports iOS 10.0 and higher. This is a great app. Keeps you thinking on how to be a better you. What a great tool to have health friendly competition with your friends and family. Wonderful and useful to be a better me. 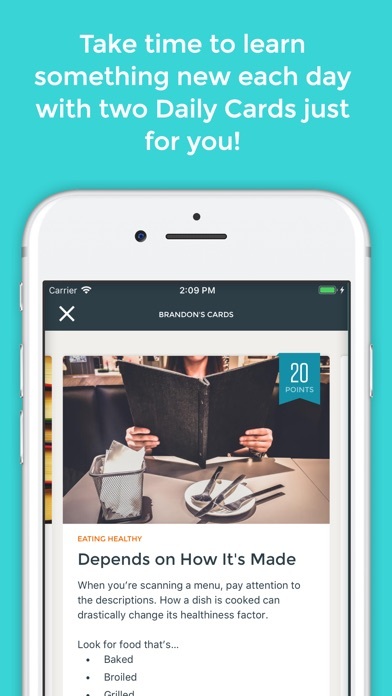 The app is simple enough for anyone to use, very intuitive. I’m a fan of the simple graphical user interface. I wish more apps with this easy to figure out! Love the ability to do challenges with friends at any time! I have to use this for work. For some reason it doesn’t sync with Health. I have to constantly disable / enable sync in order to log my steps. Pretty unfortunate misstep. Virgin pulse keeps me on track and motivated! The tips, challenges and guidelines are so good. I’m mostly here to earn points, I don’t really care about anything else. That said, everything works fine as far as I can tell. I’m not liking the red borders, and I’m finding it infuriatingly impossible to get my pulse points turned in to celebrating you points. Can’t do it in the app, can’t even do it on the website. Maybe we could get that fixed. It’s a great program! I love it!! My job got connected with Virgin Pulse Wellness to help lower insurance rates, but I have been re-inspired to be healthy. I am a Disabled American Veteran with many physical limitations. I even walk with a cane, but I can walk. I got the Max Buzz and am tracking my steps and walking every day now. Let me tell you, the walking hurts - but the benefits outweigh the pain. My other medical issues are becoming more manageable. It is all because this app has gotten my attention, is fun, and intelligent. I love the Virgin Pulse Wellness app!! It is fantastic!! This is a great way to learn and keep yourself accountable while interacting with your peers! I highly recommend!!! VP is very easy to use & saves me money on my medical insurance every year. Nice app. Glad it syncs with I phone health data. Great app for tracking. Fun to find ways to get points. I have an app on my iPhone/Apple Watch to keep track of my sleep pretty accurately, but this app does not sync the sleep time from iPhone. Instead it requires SleepTime from Azumio, which is full of spammy messages and ads unless you pay for subscriptions. In addition Azumio app is very inaccurate because it has to be activated manually, and counts hours as soon as I do. I don’t normally go to sleep immediately so it is very inaccurate. I would update my review if it starts reading sleep time from iPhone. Also I shouldn’t have to open the app and pull down to update steps multiple times, so another star off. Very helpful and helps keep me going and active. Keeps me in check point! I particularly enjoy the cards and that I can check mine and my friends steps. I love the competition of having more and more steps than my friends! Awesome way to keep you aligned with your personal wellness goals! Great connectivity to my companies health plan. Easy to use and always fresh! Love this app. 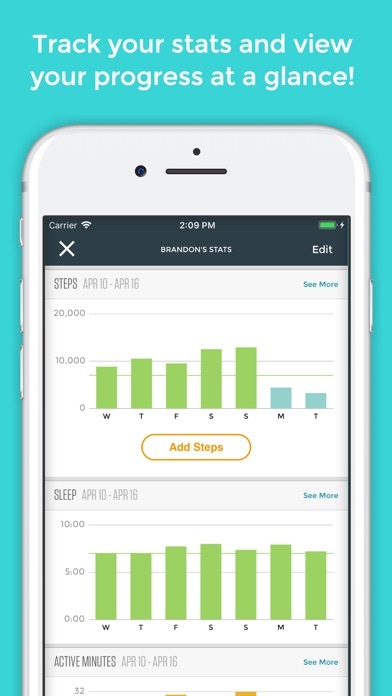 It helps you track healthy habits. 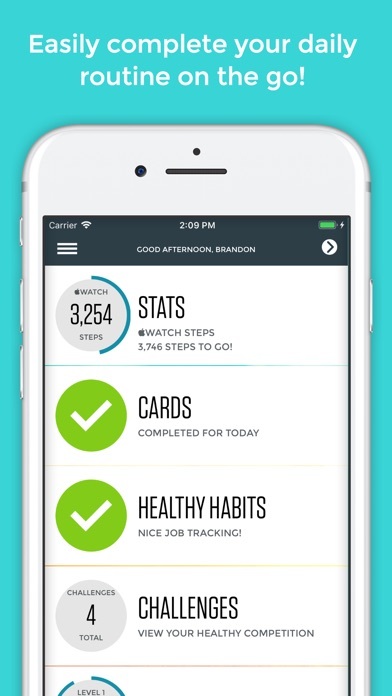 Nice concept for an app to help with fitness.